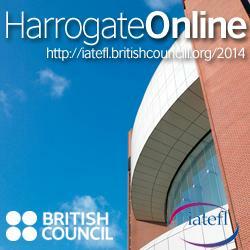 I am still writing posts about the talks I got impressed by when following IATEFL 2014 in Harrogate online. One of the most vivid presentations in my opinion was that of Hugh Dellar. I have already used some ideas of his to illustrate my points in talking to people about teaching and learning English. 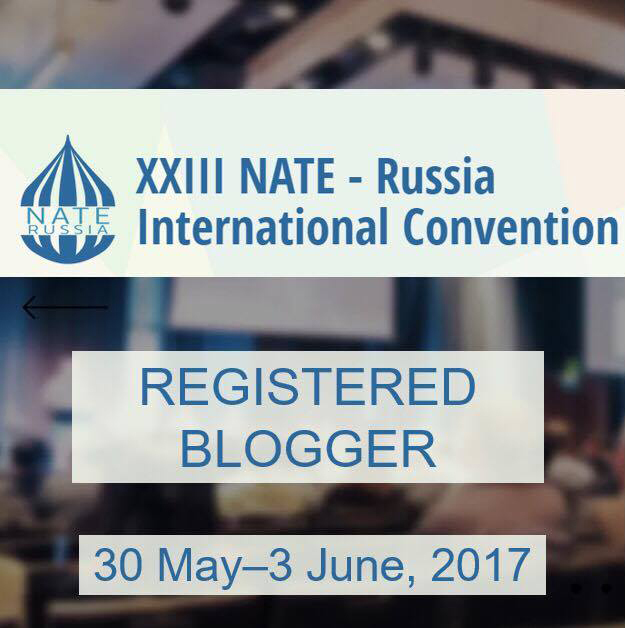 That means that most of the ideas presented by Hugh Dellar found support in my heart and I would like to share my impressions here. I was lucky to meet Hugh Dellar face to face when he was giving his presentation in our city of Yaroslavl, Russia. I was grateful to him for his new coursebook which I was able to use in class and my students loved it. I started teaching using the course Outcomes Advanced and it turned out to be just what my Advanced group needed. Hug Dellar's talks are always emotional, humorous, easy to understand. So let me introduce Hugh Dellar to those who haven't heard about this wonderful teacher and teacher trainer, though I believe there are not so many people like that. Hugh Dellar is currently based at the University of Westminster in London. He is the author of a number of course book including my favoutite Outcomes. 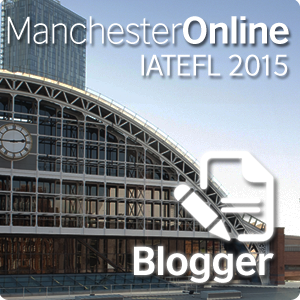 He is the founder of Lexical Lab which he briefly described in his interview at IATEFL 2014. Hugh Dellar advocates the ideas of Lexical Approach which, in his own words, is an approach where teachers believe that English language "is more complex than just grammar structures plus words". 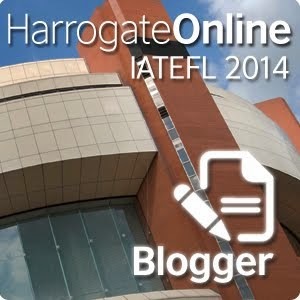 This year at Harrogate Hugh Dellar was giving a talk "Twenty things in twenty years" where he summarised "the limited pearls of wisdom" he managed to accumulate during twenty years of working as a teacher. He shared ideas and thoughts which he came to believe about language, teaching and learning. I will try to summarise his wonderful talk in several paragraphs here. It turns out the Hugh Dellar "fell into teaching by accident" when he was 24 and to this day he keeps being asked the same question: " Are you still teaching?". Many people believe that teaching is not a real job but a temporary one which is just used to earn the living till a more honourable and profitable job appearson the horizon. in Hugh Dellar's opinion teaching is the best profession in the world and I fully agree with that. One of the reasons is "falling into a me-shaped form" when actually being who you are is good, it helps to teach successfully. Teaching is the profession which offers creativity, freedom, a chance to recreate the world according to our own ideas, even if only in the classroom. The second idea was summarised in the slide as follows:"Trouble trouble before trouble troubles you". Hugh was saying about developing our own way of dealing with learners and each teacher acquires it with time. It happens naturally without us even realising it but we do use the same methods we apply in real life. Hugh has developed a "firm, friendly, slightly sarcastic, hopeflly slightly funny,possibly with a vague air of menace sort of way of trying to control things in the classroom". (I guess that my way of dealing with things in the classroom is very similar and probably that is why I enjoy Hugh Dellar's presentations so much). The next slide presented a wonderful catchy slogan: "Kicking the grammar habit". Hugh Dellar described the symptoms of "grammar anxiety" and what negative impact it can have on learning and teaching English. Everything started to get much better when Hugh got cured of his "grammar anxiety" and "vowed to teach nothing that he would never say or would never hear said". He noticed right away that the speaking skills of his learners became better. The next idea is closely connected with this one and Hugh Dellar went as far as to declare that it is lies to think that "what makes learning better is fundamentally to do with the study of descrete structures" which simply put means that "grammar is at the heart of everything we learn". That, in Hugh Dellar's opinion, (which I fully support) is not true. I agree that the way we were taught grammar cripples our way of understanding language and it only adds confusion and lack of motivation. - they need to be listened to, they need to be reformulated, scaffolded, shown better ways of how to do what they need to do. Students will never tell teachers these things during needs analysis and Hugh's suggestion is to stop wasting the first class of ours on needs analysis which won't show us anything anyways. "Resistence is futile - but still remarkably widespread". Students enter the English language classroom expecting English to work in the same way as their own language and they try to fit their pre-programmed logic into learning a new language. It never works and it makes students frustrated. Sometimes students insist on still applying the same logic after being shown how inefficient it is. I see it in my practice very often so I clearly see what Hugh Dellar means. The stronger the resistence, the less the learning. So our task as teachers is to smooth this journey and bring our students towards submission. It helps to do it with a smile and agreeing that English is a weird language and many things work opposite to the logic that already exists in our learners' brains. The next point Hugh Dellar made just really warmed my heart because that is exactly what I am telling some of my students. "Input is more important than output". The desire of many students who come to learn English is just to chat, they object to doing exercises and learning new things, all they want to do is to chat about different things. I fully agree with Hugh that such approach is not very productive because "students don't actually learn while sitting there in the classroom chatting using the language they came to classroom with". Practice is very important but it can be done now in so many ways outside the classroom. That is important to show our students that " we learn language from language" and the more language is shown, the more the input, the better the output in the long-run will be. So the materials themselves need to provide more input, it should be scafolded, graded, guided by us, teachers. Next Hugh Dellar introduces the idea that in our modern age of new technologies, methods are actually valued over language and language awareness. His idea though is not to involve sophisticated methods in teaching, but to use very simple basic ones to reach the objectives. Hugh Dellar suggests such a procedure: "ensure students meet useful language, help them to grasp is, help them to notice aspects of it, get them to practice it, get them to revise it and repeat". In a course of time Hugh Dellar came to realise that the majority of mistakes that students are making aren't grammatical. The exercises themselves force students to make mistakes. It is true that very often when practicing grammar for instance students aren't given enough context, they are forced to bring in their own logic from their own language. It is always difficult to correct the mistake which has already been rooted in students' mind because it has to do with reprogramming the students' mind and showing them how language really operates. It is quite right to say that pronunciation is one of the most neglected areas of teaching in the classroom. Being able to pronounce correctly demands a lot of drilling and usually there is not enough time for that in class. The goal of focusing on pronunciation should be improving listening skills. As for me I came to realise that pronunciation is important for understanding and producing utterances. I came to understand that wrong intonation and pronunciation can really impair understanding of a foreign language. That is what I am trying to persuasively show my students and I see they tend to agree and eagerly practice pronunciation. For Hugh Dellar the ideas of Learning Styles, NLP and Multiple Intelligences seem "pseudo science","they hold no reality". He shows examples of how these approaches should not be given so much focus. Another idea I found fascinating in Hugh Dellar's talk is the thought that "the group is more important than the individual". I fully agree that the dynamic of a group is much more important than the individual. I believe in majority of situations studying in a group brings more results, it is more fun and probably more productive as it actually presents a real-life environment when we have to be able to deal with several different people. If you ask me, I love teaching a group, I really adore the dynamics, pace and fun which are all integral parts of group work. In group classes it is a major task of a teacher to find ways to emphasise commonality over difference. Hugh Dellar's pet hate for a long time has been the myth of the difficulty of teaching phrasal verbs. It is true that phrasal verbs are badly taught in the classroom. There are several ways teachers do that but neither of them are efficient. They need to be learned, that is also the truth of life. There is actually no other way to deal with phrasal verbs then to memorise them. "Skills based lessons are a complete waste of time". Hugh Dellar believes that students have to be taught more language. Skills should not be used outside context. Next idea is that in the digital world when a lot is done to introduce mobile learning and using a variety of different technologies into the classroom, 63% of people in the world don't have Internet access and still, teachers teach and learners learn. Being a teacher interested in using technology in class, I can't but agree with Hugh here. It is good to make the classroom more interactive and interesting with the usage of technology but we should not get obsessed with that idea. "Teaching technologically means ever more work for teachers". I absolutely agree with this. No matter how much is being said about the simplicity of using technology in class, it is not that easy. There is so much information we are bombarded by, it takes time to filter it and to find something worth using. Internet is just an "infinite amount of stuff" and for it to start bringing value, we need to give some meaning to this "stuff". Being absorbed in the world of technology, many teachers forget that the works of great minds in the field of ELT is of major importance. 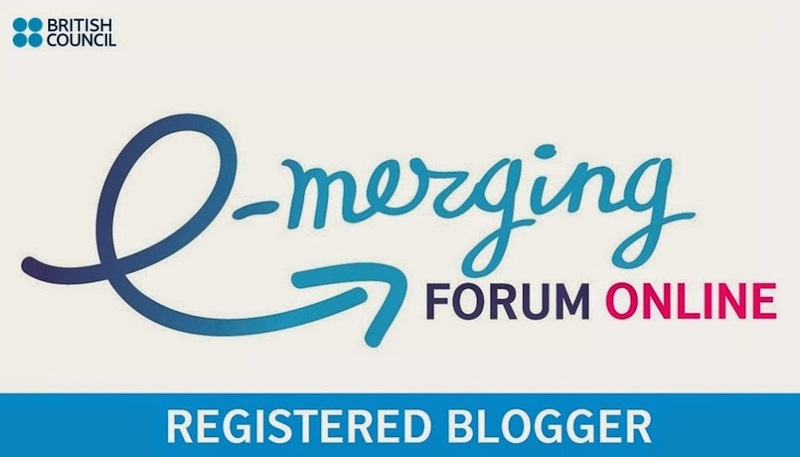 Hugh Dellar recommends us to read more, not just blogs, tweets and other Internet materials, but the books written by bright minds in the sphere of language teaching. Hugh believes that teaching is a craft, not a science or an art.It needs a certain level of artistry, wisdom and skill which are acquired by repeating the same tasks over and over again and reflecting on how we perform these sort of tasks until some level of perfection is achieved. At the end of his talk Hugh Dellar claims that times are getting tough in ELT now and he gives a number of reasons. It is harder than ever to make a living as a teacher, to write and publish books, there is an incredible threat to the status of teachers nowadays. But no matter how tough everything is getting, we, as teachers, know that we have the BEST JOB IN THE WORLD. I sign to that and applaud to Hugh Dellar, his wonderful talk and his brilliant ideas.